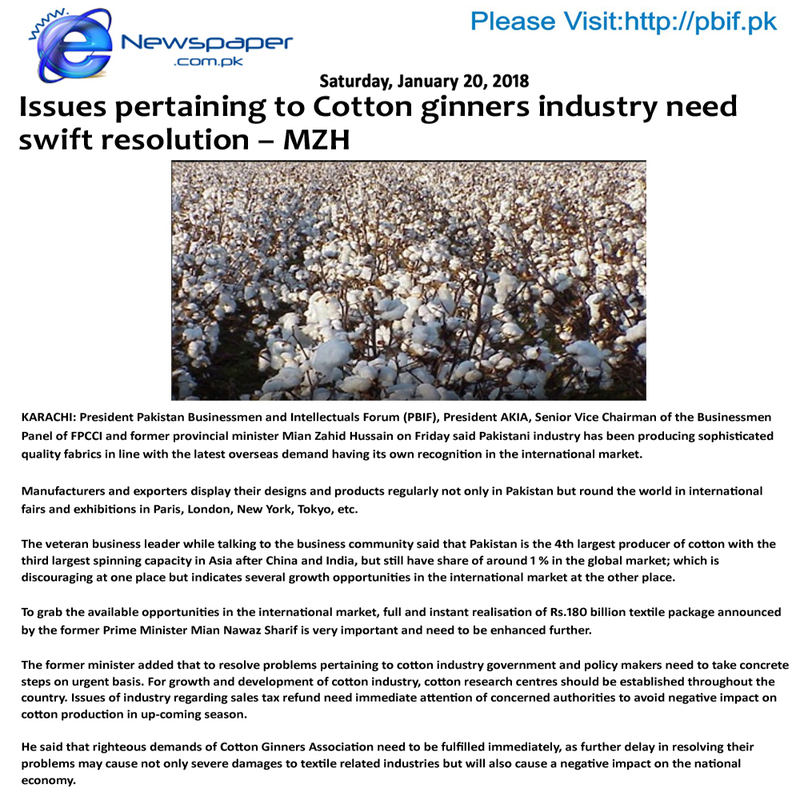 Issues pertaining to Cotton ginners industry need swift resolution. 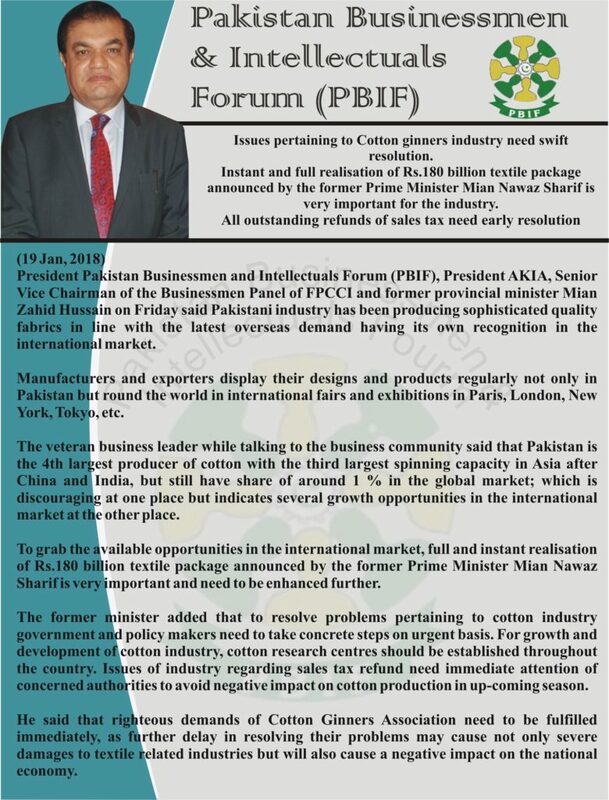 Instant and full realisation of Rs.180 billion textile package announced by the former Prime Minister Mian Nawaz Sharif is very important for the industry. 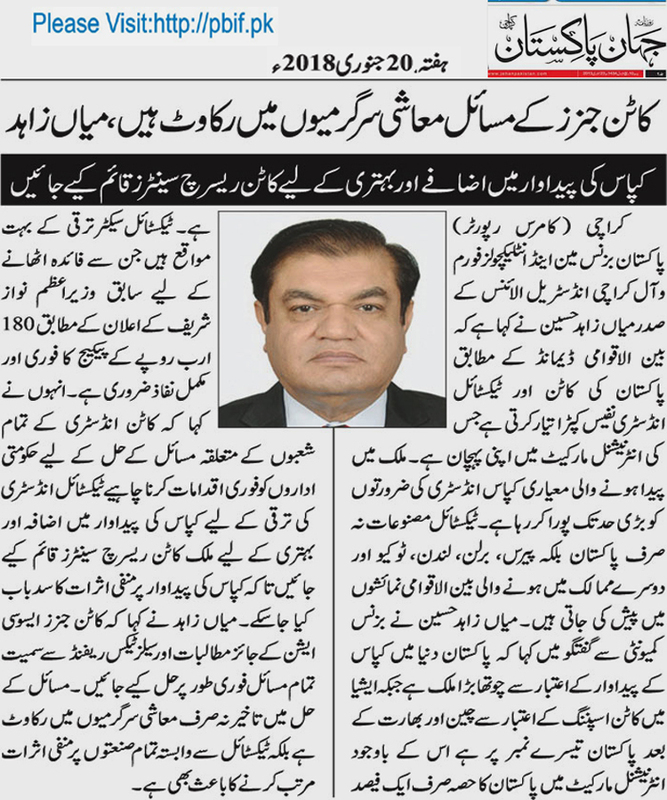 All outstanding refunds of sales tax need early resolution. 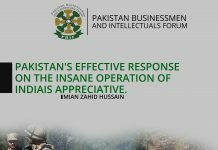 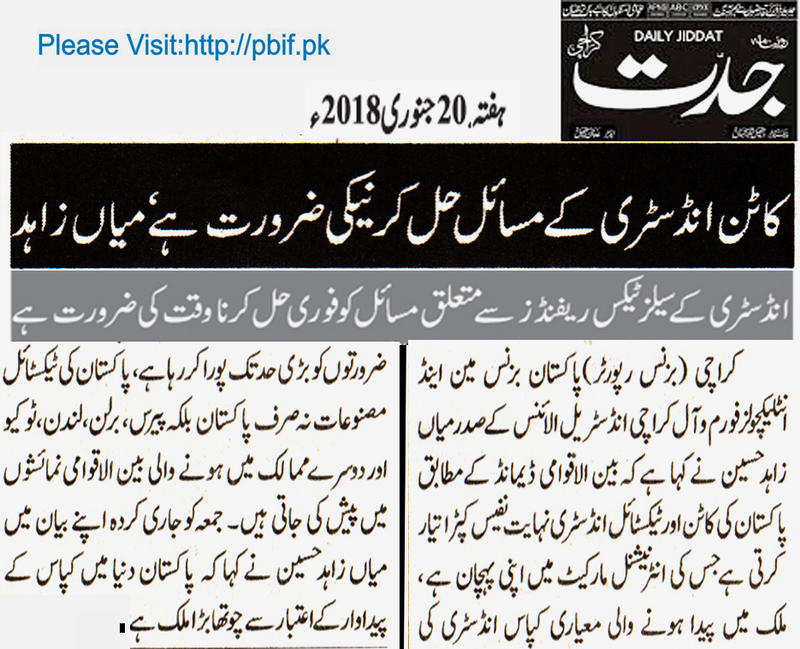 President Pakistan Businessmen and Intellectuals Forum (PBIF), President AKIA, Senior Vice Chairman of the Businessmen Panel of FPCCI and former provincial minister Mian Zahid Hussain on Friday said Pakistani industry has been producing sophisticated quality fabrics in line with the latest overseas demand having its own recognition in the international market. 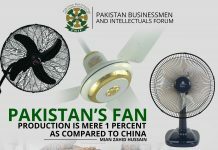 Manufacturers and exporters display their designs and products regularly not only in Pakistan but round the world in international fairs and exhibitions in Paris, London, New York, Tokyo, etc. 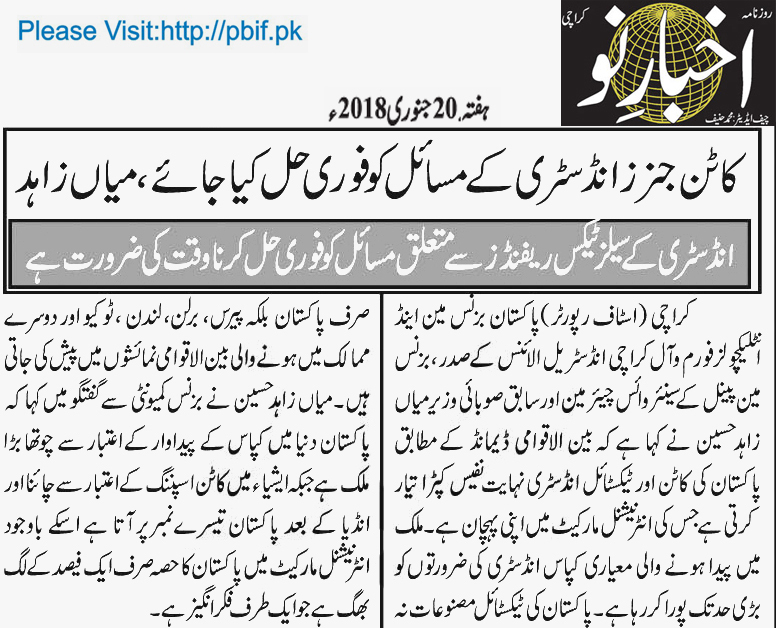 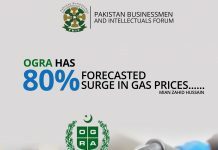 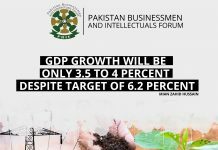 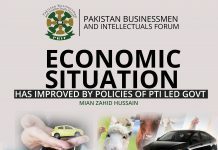 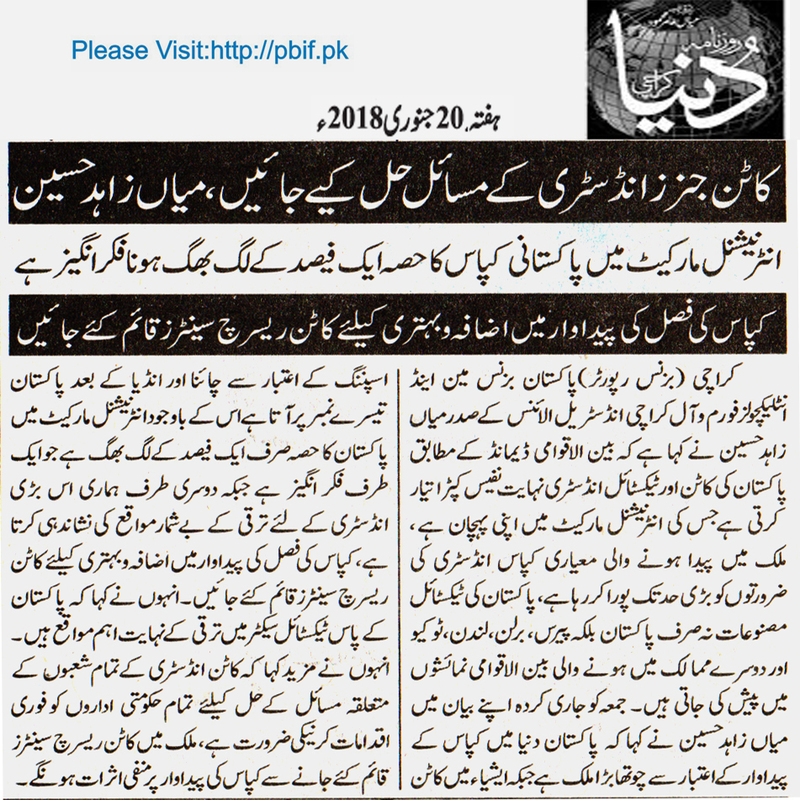 The veteran business leader while talking to the business community said that Pakistan is the 4th largest producer of cotton with the third largest spinning capacity in Asia after China and India, but still have share of around 1 % in the global market; which is discouraging at one place but indicates several growth opportunities in the international market at the other place. 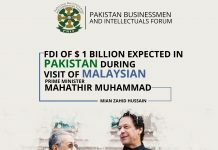 To grab the available opportunities in the international market, full and instant realisation of Rs.180 billion textile package announced by the former Prime Minister Mian Nawaz Sharif is very important and need to be enhanced further. 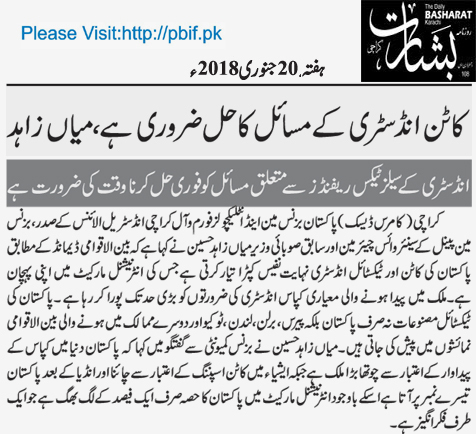 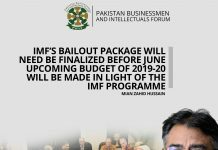 The former minister added that to resolve problems pertaining to cotton industry government and policy makers need to take concrete steps on urgent basis. 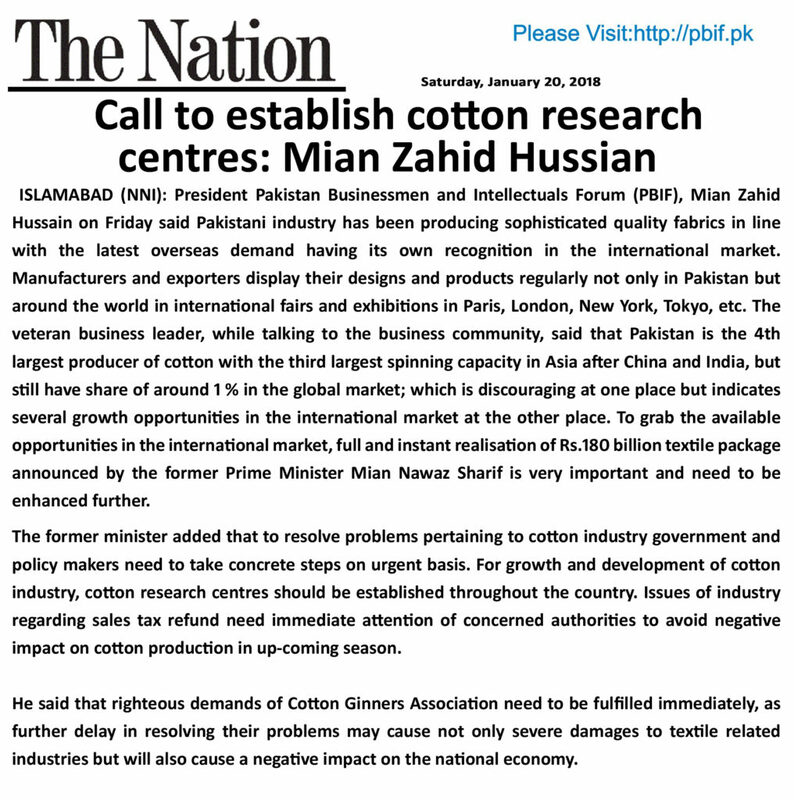 For growth and development of cotton industry, cotton research centres should be established throughout the country. 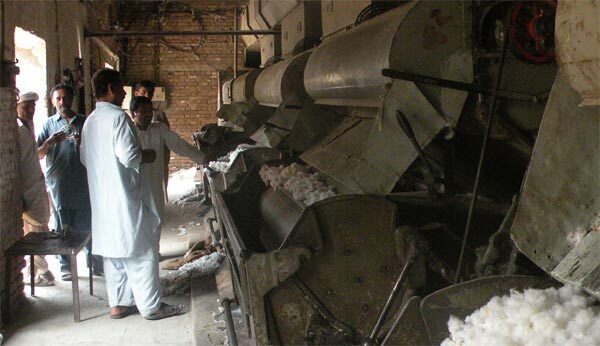 Issues of industry regarding sales tax refund need immediate attention of concerned authorities to avoid negative impact on cotton production in up-coming season. 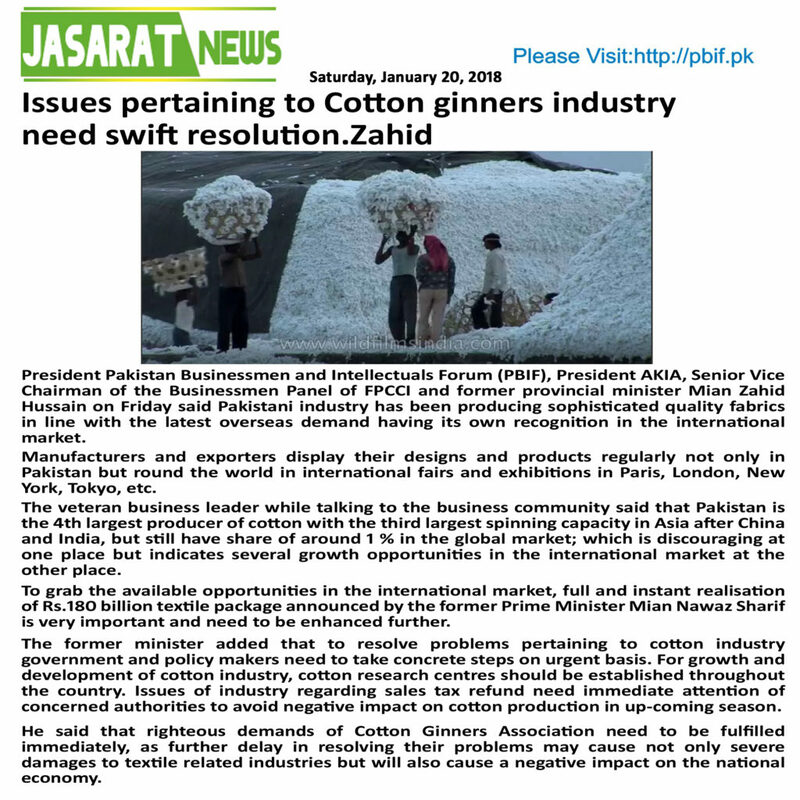 He said that righteous demands of Cotton Ginners Association need to be fulfilled immediately, as further delay in resolving their problems may cause not only severe damages to textile related industries but will also cause a negative impact on the national economy. 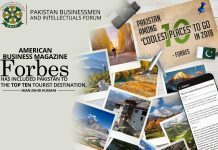 Previous articleTourism Industry in Attock City can attract National and International Investors Attock is the centre for Traditional Handicrafts, Iron Utensils and painted and lacquered woodwork Followers of Sikh religion from all over the world visit Gurdwara Panja Sahib, twice a year. 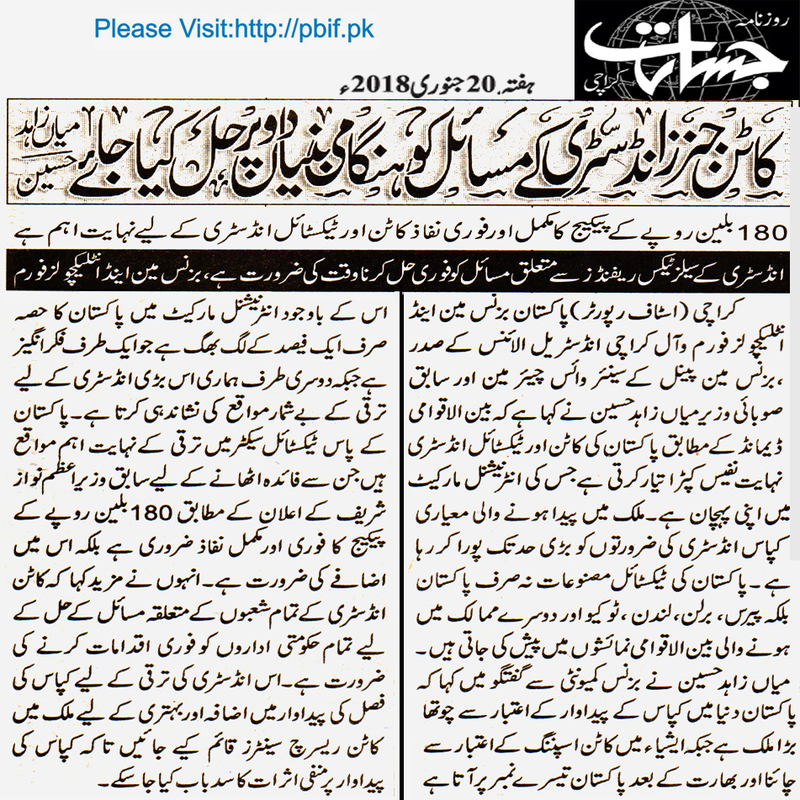 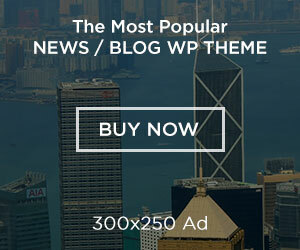 Next articleDifferent Tax Ratios for Commercial and Industrial Importers are unjust. 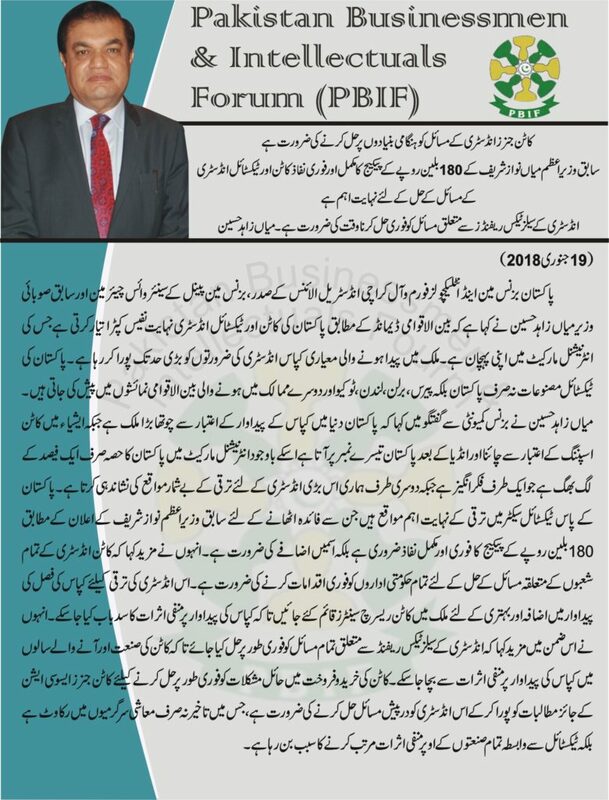 Commercial Importers are the Backbone of Export Based industries. 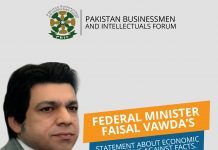 Equal taxation should be imposed on commercial and industrial importers to resolve commercial importers’ problems.